The Hidalgo County Adult Probation Services building is seen June 16, 2017, in Edinburg. 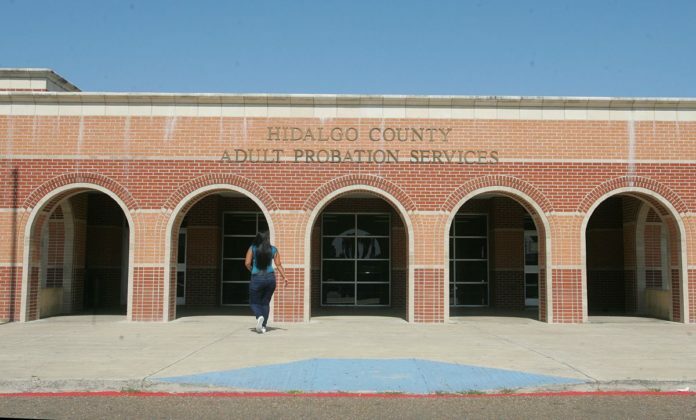 EDINBURG — The Hidalgo County Adult Probation office is under investigation for alleged bribery and theft by employees. The investigation appears to focus on probation officers accused of asking probationers for bribes, though it’s unclear if the theft probe derives from the alleged bribes. The Hidalgo County Sheriff’s office began conducting the investigation after the Hidalgo County District Attorney’s office forwarded information it received last month, District Attorney Ricardo Rodriguez said Friday. “Obviously we felt it was information that needed to be turned over to a law enforcement agency, and that’s what we did at that time,” he said Friday. The sheriff’s office released a short statement addressing the issue Friday. A local government official close to the investigation said federal authorities are also interested in the case, while other sources close to the department said at least two officers have since left their posts. It’s unknown if the alleged vacancies are tied to the investigation. Arnold Patrick, executive director of the Adult Probation department, did not return calls seeking comment Friday afternoon.